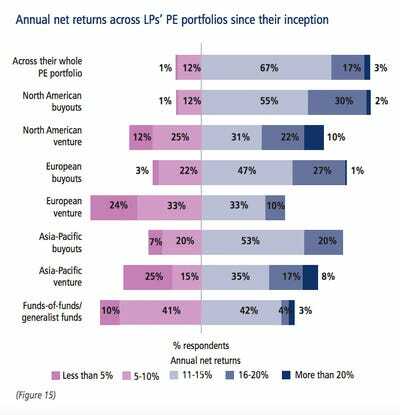 Investors are fleeing hedge funds and moving their money to a handful of private equity funds. A quarter of limited partners, or institutional private equity investors, plan to reduce their exposure to hedge funds in the coming year, according to a survey by investment firm Coller Capital. The firm polled more than 100 private equity investors and found that 36% of them are pouring into private equity instead. It’s worth noting here that Coller Capital is a private equity secondaries firm, providing liquidity in private equity markets. As such, one could expect them to take a brighter view of private equity investments and have a somewhat less favourable outlook on hedge funds. Third Point’s Dan Loeb described the first quarter of this year as “one of the most catastrophic periods for the industry” and warned of a “hedge fund killing field.” Billionaire Steve Schwarzman of the Blackstone Group has little sympathy for declining fees in the hedge fund world. Hedge fund investors — including pensions, endowments, sovereign wealth funds, and insurers — have seen a massive mismatch between their expected returns and actual returns from their portfolios. Their growing concerns on underperformance had Brevan Howard,one of the world’s biggest hedge managers, to prepare for a money exodus. Many funds are lowering fees or offering other investor perks to compensate, but some investors are still fleeing. 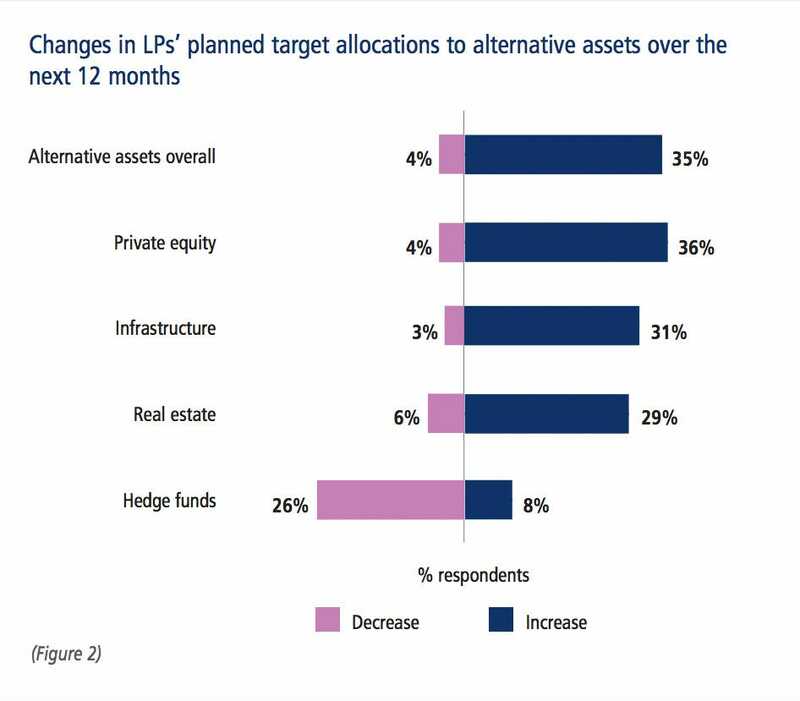 In contrast, 79% of investors in the survey said they will not change their commitment pace to private equity despite the recent market volatility. An appetite for private equity can be seen from the nearly $10 billion fund that Leonard Green & Partners raised, as well as Blackstone’s $18 billion global fund, and KKR’s $11 billion fund. 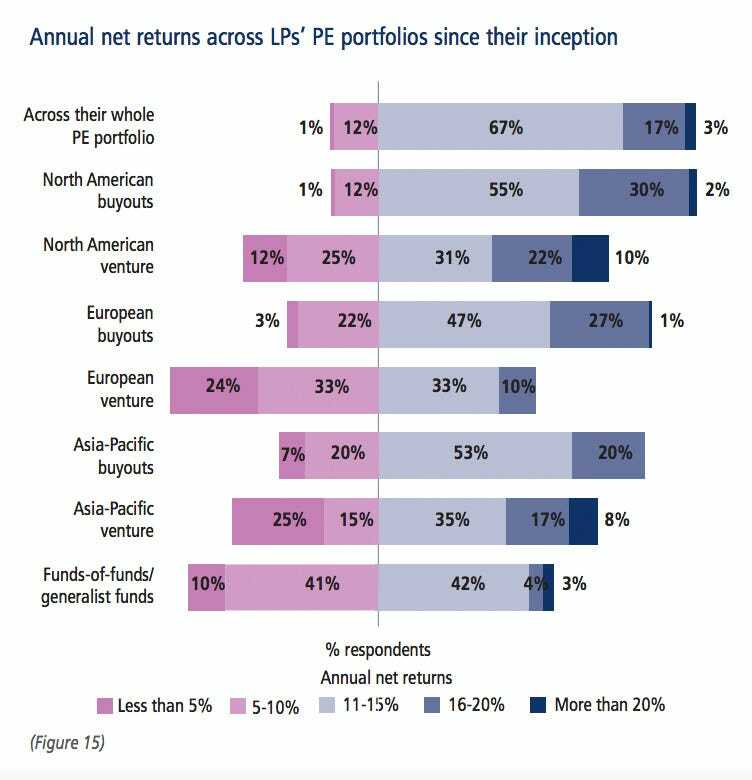 That may be explained by the 11% or higher annual returns that a majority of investors have enjoyed since the inception of their private equity portfolios. One in five of the investors saw net returns of over 16%, according to the survey. Private equity firms have enjoyed startling growth over the past few years compared to hedge funds and other asset managers. Even though there may be a ‘new normal’ of slower growth going forward for the $3.5 trillion private equity industry, it still presents an attractive option for investors.